Who does not love a great poncho?! 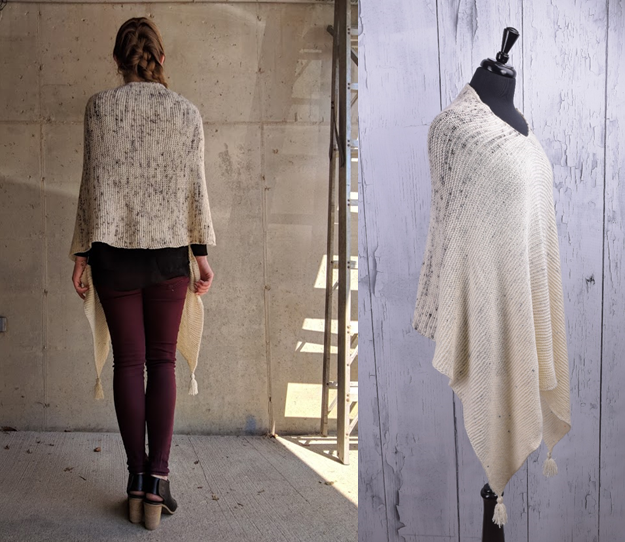 The Wayfarer Poncho by Audrey Koval is an effortless, three season piece that provides a bit a stylish warmth. The poncho shows off a gradient of colors from three different skeins of Tosh Merino Light. Switch up the color combinations to make a subtler (or bolder!) look. With a higher back, the Wayfarer Poncho won’t accidentally be pulled or stretched when sitting, while the longer front provides warmth and comfort. 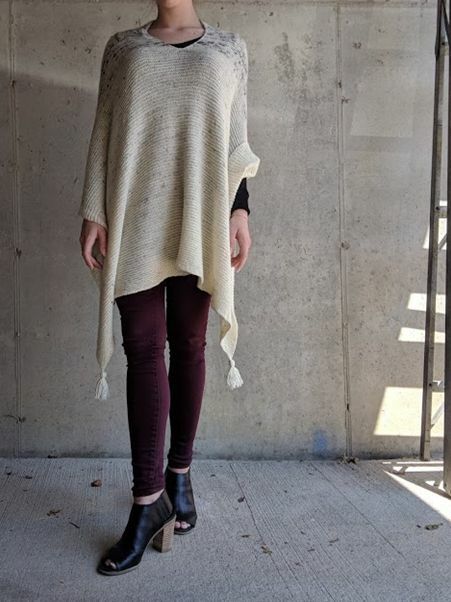 With two tassels added to the poncho front, the Wayfarer Poncho is a simple poncho that is perfect for the cooler months. The pattern is knit with size US 7, 32” circular needles to achieve a lighter fabric & nice drape. Slipped stitches give a clean flexible edge and an i-cord neck creates fashionable stability. Shop our selection of over 200 Tosh Merino Light colors or add some glamour with the subtle sparkle of new Tosh Merino Light Glitter & Holo Glitter. This free pattern is available in store or on our website.